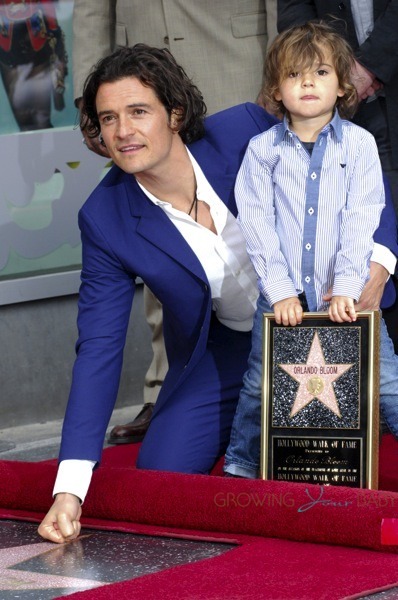 Well known for his roles in blockbusters like Pirates of the Caribbean, Lord of the Rings, Romeo and Juliet and The Hobbit, actor Orlando Bloom was honored with his own star on the Hollywood Walk of Fame on Wednesday(April 2) in Los Angeles. 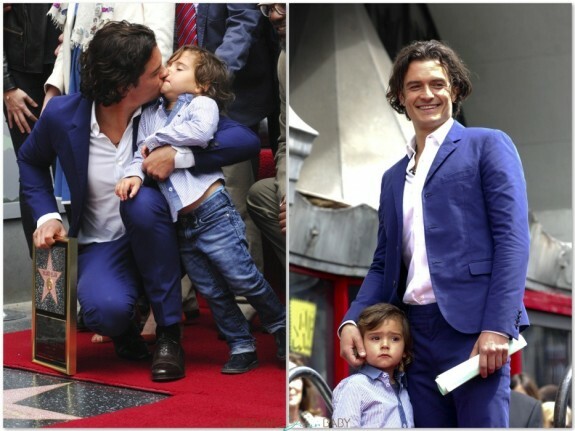 Through out the ceremony the proud actor had one person person by his side – his son Flynn! A day both will remember forever, Orlando kept Flynn close, even posing for many photos for the little guy in front the iconic plaque. The three-year-old also played a big part in the ceremony; assisting Leron Gubler, the Hollywood Chamber of Commerce CEO, with the roped display. Also on hand to celebrate the 2,521st star, were Orlando’s parents Sonia and father Colin Stone, and friend Forest Whitaker and Romeo and Juliet director David Leveaux.